Being a single mom is often seen as a joy-stealing and dream-dashing cross to bear. The truth is, it's hard. Some days it can seem impossible. But in the midst of the chaos of single parenting there is much hope...if only the wind and rain would calm just long enough for the light to shine through. With these 50 moments of peace, Jennifer Maggio gracefully weaves scriptural truths and personal stories to gently soothe the storm that rages in every single mom's heart. Single mom, are you overwhelmed, stressed out, and fed up? Are you desperate to find peace in the storm? Partner with Jennifer Maggio to win the battle over self-doubt, regret, and fear. 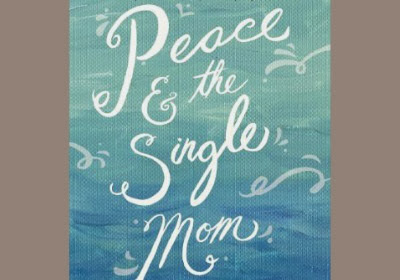 Peace and the Single Mom offers 50 Moments of calm in the chaos, guiding single moms to strength and hope. Downloadable group study guides of various lengths are also available, each designed to encourage individuals while fostering unity among the single moms in your church or community. to pick up your copy for ONLY $0.99.